Dear Citizens of Clemson, As a part of our ongoing commitment to public service, especially to the taxpayers and residents of the City of Clemson, we are pleased to announce the unveiling of the new Clemson Police Department website. This website has been prepared to give you quick access to the information and communication tools you need and was designed with simplicity and user friendliness in mind. Even the theme a dispatch center control panel, suggests that you have arrived at a place where you can dispatch the department in any way you need to. Please note that there are a number of e-Forms we have included to assist you in filing complaints, various types of notices, and how to request information on current issues, cases, and procedures. It is of the utmost importance that we hear your comments about our site. If you cannot use it or do not understand any part of it for any reason, please email us to inform us of your experience and how we can try to improve it. 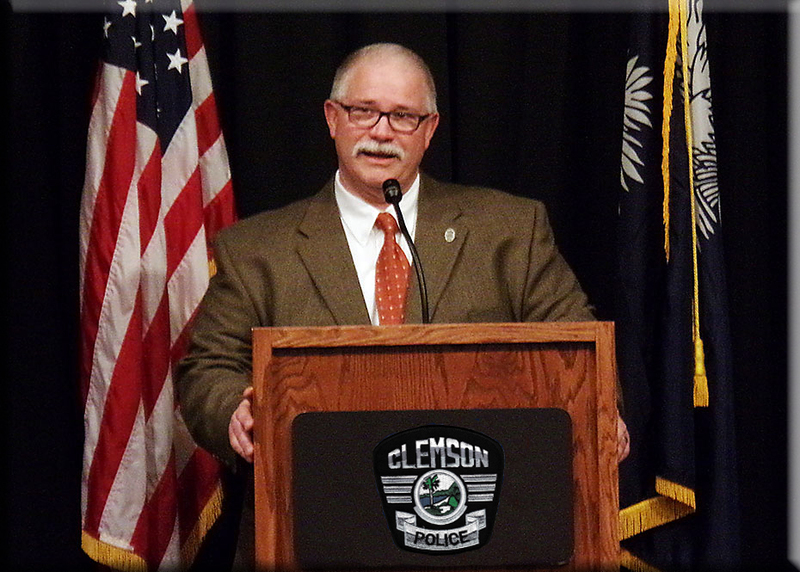 The Clemson PD is committed to upholding our basic values of Courtesy, Professionalism, and Dedication. We sincerely hope you find that this website is an extension of these ideals.